12 Inch height. Material: high quality pp cotton. Super soft fine plush fabric. It needs 3 AA batteries (Not included). Wonderful gift item, birthday gift, christmas gift, plush animal toys. 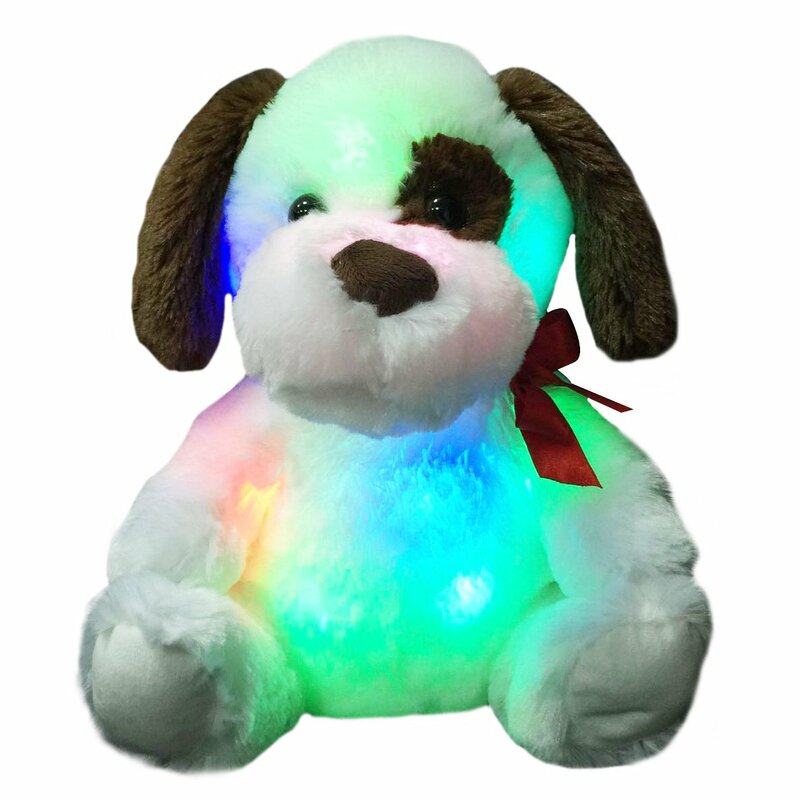 It's a glow puppy kids' stuffed animal toy. It can change different colors and will be very beautiful at night. BEAUTIFUL LOOKING at night! The lights are BRIGHT and they illuminate the colors beautifully! HELP TO FEEL SAFE IN THE DARK! If you want to make them surprise, you need to try something new and you should take this toy with you! It's a soft and cuddly bedtime buddy for young children. It can change colorswhen you put batteries and press the button ON. Beautiful looking at night!The lights are bright and they illuminate the colors beautifully! Help to feelsafe in the dark! Inside with LED device, can shine up after equipped withbatteries. It needs 3AA batteries which are not included.